Do you ever feel frustrated or overwhelmed with all the things you’re supposed to do to get your blog noticed? It’s like the more you read, the more things you uncover that you’re supposed to be mastering and executing at the same time to get your blog noticed. If you tried to execute everything the experts say you need to be doing, you’d never sleep. And I’m no doctor, but I’m pretty sure that’s not good for you. You’d become the Juggling Blogger – trying to make every post “Epic” content, staking your claim on YouTube, building your elite Facebook group, publishing regularly on LinkedIn Pulse, writing “killer” headlines, optimizing the SEO on all your articles, segmenting your emails, producing your podcast, analyzing your analytics… and, oh… don’t tell me you’re not Periscoping yet! The frustrating part is that all these things have some value. But if you try to execute everything at once, you’ll inevitably wind up doing a mediocre job at all of them. It’s no wonder so many new bloggers call it quits after a few months! It just looks so intimidating. To top it off, most budding bloggers are splitting their time between a day job and their blogging efforts. When you look at all the things you’re supposed to do, it can start to look like too much work. Your two lives conflict, and you begin to think about throwing in the towel out of sheer overwhelm. The thing is… you don’t have to feel that way. There’s no reason you should have to be frustrated. You started blogging from a place of enthusiasm… because you thought you’d enjoy it. It doesn’t have to become a big, frustrating chore you’d rather not deal with. I worked as a national sales manager for almost 3 years after I started my blog, and I found myself feeling those same feelings and dealing with those very same frustrations as I tried to balance both lives. But then one day, I noticed something. What works online isn’t as new as we think. Sure, some of the platforms are new, but the principles are just age old universal business principles that have worked offline for years. As I started to look at blogging through the same lens I viewed my career through, things became clearer. I began to treat the beginning of my blogging career as I treated the beginning of my professional offline career… and I started to get traction. When you first start off in a new career, what do you do? You normally start with the basic principles and work your way up from there. So here are 5 business principles that you can apply to help make blogging easier and get your blog noticed. Principle 1: If you don’t have the right qualities, don’t take the job. When I was just a young guy not too far out of college, I took a job working for a medical research company. Not lab stuff… this was academic-style research. For instance, one of our clients, a hospital in Utah, wanted to build a new state of the art cath lab. My job was to sit at a desk all day calling hundreds of cath lab experts across the country and ask them all the same set of questions about cath labs. After making all these mind-numbing calls, I would spend what felt like hundreds of years compiling the data, and creating a highly technical report full of statistics and graphs for our client. You might as well have told me my job was to sit in the corner and whack myself in the forehead with a hammer every 5 minutes. I was miserable. Luckily, I worked for some very smart people who recognized that my soul required human interaction. They sat me down and explained why it was important for me to work in a people-centered environment. They fired me in the kindest possible way, giving me a month, and even helping me find something appropriate for me. It turned out to be the best professional advice anyone ever gave me. Likewise, if writing every single day or working on computers makes you miserable, why on earth would you start a blog? You won’t be happy – and therefore you probably won’t follow through. Blogging is a great way to connect with other people and get your message out to the world, but it’s not the only way, and it’s not for everyone. Fair enough. That’s a ludicrous example, but the point is valid. Unless you’re choosing a job that requires little to no skill, you need a formal education. You can go with the trial and error route if you want, but I don’t recommend it. And while a formal education usually isn’t free, it’s an investment that you make in your career that pays you back. Education gives you a working knowledge of at least the basics of a particular profession and demonstrates that you’ve made a commitment to your career. So if you really want your blog to become a thriving business some day, why wouldn’t you begin by getting an education? I highly recommend investing some of your time (and money) in your blogging and online marketing education to learn the core skills you’ll need from people who have walked in your shoes. Principle 3: Training and practicing leads to mastery. I hate the phrase “fake it ’till you make it.” It’s terrible advice. Even after being educated, you can’t fake being a great surgeon, engineer, or computer programmer – it requires training. Hands-on, down-in-the-weeds, dirty training. Blogging is no different, and there are a ton of ways to get blogging training. The easiest (and free) way is to take the leap into guest posting. 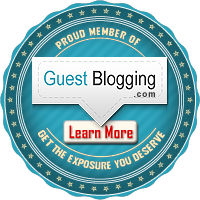 By guest posting on different sites, you’ll wind up getting free get tips and coaching from successful bloggers. It’s a great way to sharpen your skills and make valuable contacts with people who can help you. Aside from guest posting, your favorite A-List blogger likely offers some sort of training or coaching program available. If you haven’t yet taken part in any of these training programs, I recommend you do. Check out my resources page for some I’ve taken, or send me a message and I can suggest some to you. Here on Reboot Authentic, I offer a personalized coaching program called Clarity Coaching that many of my readers have taken advantage of. Principle 4: Develop Thick Skin and Never EVER Quit. If you hope to survive and thrive anywhere, you need to develop fortitude. You need to be stubborn as a mule, tough, resilient, and focused on the end result. Try things. Take calculated risks. In reality, playing it safe is a pretty dangerous proposition. It’s true in life, it’s true in business, and it’s true in blogging as well. I spent a good number of years trying to play it safe. And to make a long story short, it was unfulfilling, unprofitable, and proved to be dangerous as hell to my family’s well-being. No matter how hard you try to avoid risk and failure, at some point your efforts will be thwarted and your best laid plans will crash and burn. Those are the times when you have to chalk it up as practice, become pigheadedly obstinate, lick your wounds, and try it again. If you’re human, you’ll get bummed out and frustrated at times. But if you’re truly committed, you’ll persist despite it all. Principle 5: Show up Every Day and Prime the Pump. After 24 years in national sales management, I can tell you one thing for sure: there are no elite part-time salespeople. In any field, the people who show up day after day and put in the work are the ones who succeed. Quick: Who’s your favorite part-time professional athlete? Yeah. There are none. They all put in an insane amount of effort every single day. They don’t dabble. Think of your blog like one of those old-fashioned manual water pumps. You have to pump like crazy for quite a while to get the first drop of water to drizzle out. But once it starts coming, you can keep it flowing with just a minimal effort. You’ve heard the old expression, “priming the pump?” That’s where it comes from. To get your blog noticed, you need to prime the pump. Once you get things started, be disciplined and keep it flowing. Keep your momentum. The next time your inbox has your mind spinning with expert advice, step away and come back to these 5 simple principles. Use them as a benchmark to decide what you should focus on next. They’ll keep you on track and provide clarity in those times of frustration. Does the sheer volume of blogging advice out there ever overwhelm you? What do you think you should really be focused on instead? I love this , Gary! It is actually great advice for any venture, thank you!! We do tend to get tangled up in the weeds, don’t we? Stepping back and keeping it simple is a good way to regain clarity. Great insight! Thanks for sharing! You bet, Simonne! Nice to see you here in the comments! Thank you, Charles… and you get my vote for coolest avatar. Love it! I enjoyed that very much.You displayed a fresh approach to this much-covered topic. We all have our different circumstances to cope with, but our attitude can certainly go a long way to getting things done and making things happen. Thanks for sharing your experience. Tweeting soon. Thank you, Nathan. I find in business (online or offline), we have an odd desire to make things complex. Stepping back a bit and simplifying things (like this post does) often provides perspective and clarity. I’m glad you joined in the conversation! Hi Gary. Interesting post as always – You are wise to offer five pieces of simple, timeless advice that have worked for you. I agree, perseverance and interest are key! Tomorrow will be 1 year since I published my first post! I taught myself how to blog (and it wasn’t easy, I was NOT a computer person), so at the beginning, I would do a lot of research on-line in order to figure out what I was doing. And you are so right, there was so much advice out there that it felt overwhelming. The advice started to feel more like rules and restrictions – taking the fun out of it. At some point, I decided to tune all of that noise out. I decided to do it my way, and to remember my own reasons for blogging. I blog because it enhances my life, and I use it as one of my creative outlets. I am learning, growing, and expressing. I am meeting some wonderful people, and that has been a very rewarding part of the experience. I am staying flexible: if at some point blogging doesn’t feel worthwhile anymore, I am willing to leave it and explore other pursuits. And those are some of the thoughts that have helped me decide to stay with it. Take care! Carina recently posted…Where Do You Go? Hi Carina & congrats on your one year. It takes some dedication to stick with it that long for sure. Thanks for sharing your story. Hello Gary, sorry for the delayed response, but like they say better late than never, right. I really enjoyed this simple and down-to-earth post. For many of us (both part time and full time) there are so many things we feel we MUST do, and what you’ve reminded us of is that one of those things is to have any real REWARDING success we MUST enjoy doing it. It won’t always be easy, but then again, anything worth doing rarely is. All good points, Pat. And I agree that it needs to stay fun (at least most of the time) for it to become successful. Good to see you here & hope to see you in the comments more in the future. I do, I have felt that way and I think that every blogger has had that feeling of frustration at some point. We all simply expectmore reward from our posts in the form of visits and that is something that sometimes simply doesn´t happen. But there is a door that can be crossed and closed behind you to leave those bad feelings at the other side and go on with blogging. Great post Gary. Hello again, Isabel. Good to see you in the comments again! The question becomes: When you’re frustrated with your number of visits, what can you do about it? Any ideas? Yeah, I feel you. It was really frustrating, but I realized sometimes we get to sit aside thinking all the odds and just enjoy everything worth doing. I’m relatively new to blogging and content development. I have much to learn, and I found this post helpful. I will be checking back for more. Thanks for your insight. Definitely a must read article in starting and running business! Thanks, Gary. I’ve started implementing the principles ASAP! Thanks, Gary. I’ve started implementing the principles ASAP! Thanks for sharing this for us, you’re a great help for beginners like me. I’ll go back with this from time to time. Hi Gary, great stuff, besides I was reading your Disqus comment post, they also show a red notification to grab website readers attention to get to use Disqus. Finally, I removed the comment system. Good stuff, Gary. All new bloggers must read this article!!! Geekyard recently posted…Want a Website Builder that Works Way Easier than WordPress? A debt of gratitude is in order for sharing .it extremely helpful do take after remark online journals list.